Fantasy Premier League: How will ouster affect Man City? 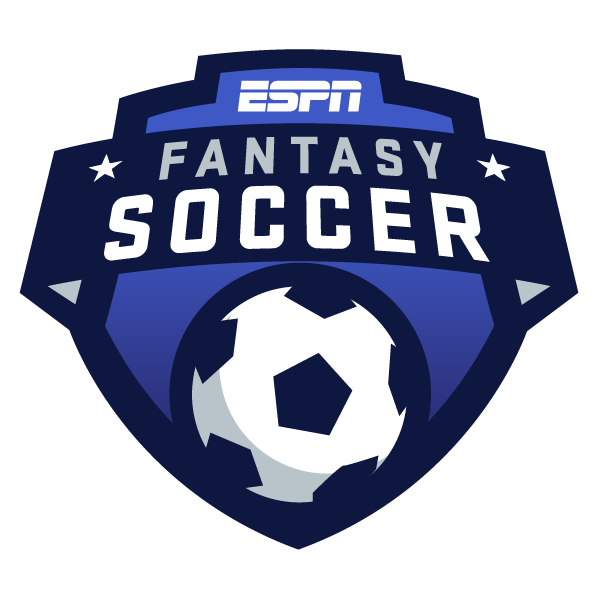 Pick your eight-man team, and compete in Major League Soccer, Premier League, La Liga or Liga MX. Then go head-to-head in leagues against your friends or people around the world. Sign up for free! There will be two extra games in Major League Soccer this week: D.C. United hosts the Montreal Impact on Tuesday, and the Colorado Rapids welcome the Seattle Sounders on Wednesday. As a result, those four teams will play twice and, more importantly, both games will count fantasy-wise. So, you're probably wondering, "How many players from these teams should be in my fantasy lineup?" The expected answer may be, "A bunch." However, I will be making one big exception when constructing my lineup. There are four Tier 1 forwards from those two-game teams: Wayne Rooney, Ignacio Piatti, Raul Ruidiaz and Kei Kamara. Rooney received a straight red card in D.C.'s 4-0 loss to LAFC on Saturday, so he'll be suspended for the game against Montreal. Piatti and Ruidiaz both were out this past weekend due to injury. Kamara did play in Colorado's 4-3 defeat at Orlando, and scored his third goal of the season. That said, the Rapids are winless in their first six games, and will face two of the top teams in MLS this week (Seattle and D.C.). Not only that, but Kamara is 34 years old, so he could be rotated given the short turnaround between games. I'm going to pass on all four of these players and instead pick Carlos Vela, whose scintillating start to the season continued in LAFC's latest romp. Teammate Diego Rossi scored three of LAFC's four goals, but Vela scored the other one -- and he would have had two if not for a saved penalty kick. Vela also had an assist, and outshot Rossi 8-5. Vela continues to lead the league in goals (7), shots (34) and chances created (21), and is tied for the lead in assists (4). This week, he'll be at home against expansion side FC Cincinnati. As a result, he will be my Tier 1 forward this week -- despite only having one game. At Tier 1 midfielder, there are five players available whose teams will play twice, and here I will be taking advantage of the extra match. Nicolas Lodeiro scored his second goal of the season in Seattle's 1-0 win over Real Salt Lake on Saturday. He also has three assists and 12 chances created in five games this season. He checks in at sixth overall in fantasy points. Seattle is favored, despite playing at Colorado on Wednesday. The Rapids have already conceded 16 goals this year, the most in MLS. The Sounders will then host Toronto FC on Saturday, who are unbeaten in their first four games, but have to make a long road trip. Lodeiro has a high floor, too. He's No. 18 in the league in passes completed, averaging 57.4 per game. He'll be my Tier 1 midfielder this week -- and my captain as well, given the extra game. There are no Tier 2 forwards with two games this week, so the playing field is level here. Jozy Altidore currently sports the highest points-per-game average in this tier, but it's a small sample size. After all, Altidore has made just two starts. As I've noted, Toronto has to travel to Seattle. Not only that, but the Sounders have conceded a league-low three goals so far this season, in five games. Dom Dwyer is only sixth among Tier 2 forwards in points-per-game, but his average is a little misleading. Dwyer came off the bench in three of Orlando's first four games, limiting his fantasy production. However, Dwyer has started and played the full 90 minutes in Orlando's last two games. He scored his third goal of the season, and took six shots, in a 2-1 loss to D.C. two weeks ago. This past weekend, while he did not score in the 4-3 win over Colorado, he did take a team-high seven shots (four on-target) and had an xG (expected goals) total of 1.08. Despite making only three starts so far this season, Dwyer is third in the league in xG (4.46), behind only Vela (4.91) and Zlatan Ibrahimovic (4.62). Orlando goes on the road this week, but are at RSL, who have conceded 13 goals in their first five games -- including four to Dallas in their most recent home game. That's why Dwyer will be my Tier 2 forward this week. Four Tier 2 midfielders have two games this week, but they are four of the bottom five in this tier in terms of points-per-game. This isn't going to be an easy decision. Paul Arriola hasn't scored a goal since D.C.'s season opener, and has taken only five shots in the past four games combined. Still, Arriola may get more opportunities to shoot with Rooney suspended on Tuesday. Additionally, D.C.'s second game this week is against Colorado, whose woeful defensive record was mentioned above. In fact, the Rapids have conceded four goals in both of their past two games. Arriola did have seven goals and six assists in 29 appearances last season. Given the extra game, he'll be my Tier 2 midfielder this week. Goalkeeper is the most volatile position in fantasy soccer, because keepers -- unlike position players -- routinely finish with negative point totals. For that reason, typically I'd be conservative and pick a goalkeeper with only one game in a given week, as opposed to two. But this week presents an interesting dilemma, because two of the top three keepers in terms of points-per-game so far this season (Stefan Frei and Bill Hamid) play twice. So, do you swing for the fences, or play it safe? Frei has three clean sheets in five games, and a league-leading 22 saves. However, 10 of those saves came in one game at Chicago, which is kind of freaky. Seattle's first opponents this week, Colorado, have struggled defensively (as detailed above), but they're not bad with the ball. The Rapids have scored nine goals in six games, and are fourth in the league in xG (10.49). Plus, Toronto -- Seattle's second opponents -- have scored 12 goals in four games. Hamid posted a clean sheet in three straight games to start the season, but has failed to do so in the past two games. He also just conceded four goals to LAFC this past weekend. He'll also face Colorado on the road this week, after a home game against Montreal. As good as Frei's and Hamid's numbers have been so far this season, I don't trust either of them enough over two games. Instead, I'm going the conservative route and choosing LAFC's Tyler Miller -- coming off back-to-back clean sheets -- at home against a Cincinnati team that has only scored one goal in its last two games (and that goal came via a penalty kick). Eduard Atuesta, LAFC (Tier 3 midfielder): He already has two assists this season, but Atuesta also has a high floor. He's third in the league in passes completed, averaging 65.2 per game. LAFC should dominate possession at home against Cincinnati, who have the second-lowest possession percentage (42.2) in the league. Kelvin Leerdam, Seattle (Tier 1 defender): One of five players in this tier with a pair of contests on the schedule, Leerdam has already scored two goals this season. He also has a decent floor for a fullback, averaging 42.8 completed passes per game. Reto Ziegler, Dallas (Tier 2 defender): He scored his second goal of the season last week, via a free kick. Ziegler had scored his other goal via a penalty kick -- and defenders who handle free kicks and penalties provide great value. Plus, Ziegler leads the league in passes completed, averaging 71.2 per game.